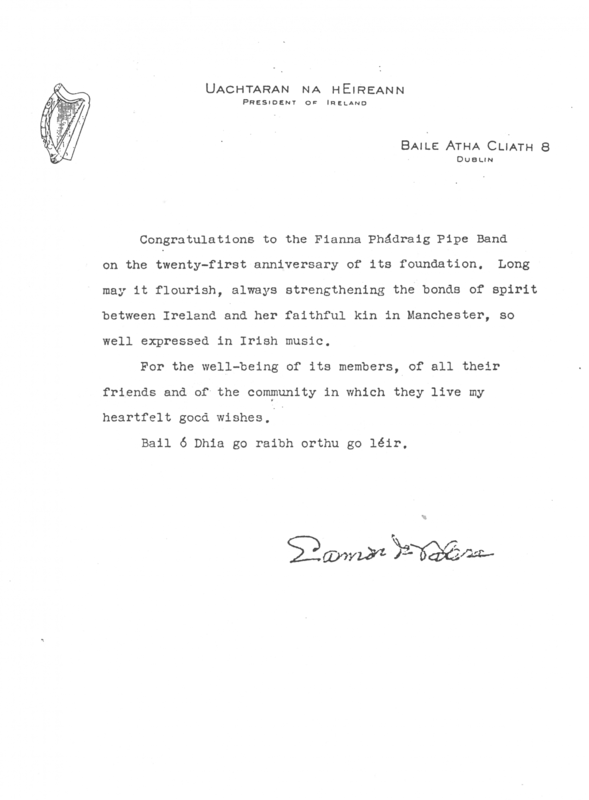 After the initial, somewhat fortuitous encounter with the Irish President, outside Dublin's Kilmainham Gaol in 1966 (see "Conquering the Continent"), Terry and the lads were honoured to receive a letter of congratulation signed Éamon de Valera, on the occasion of the Band's 21st anniversary. The letter takes pride of place among the trophies and awards the Band has received throughout its long history. Letter of congratulation from Éamon de Valera on the occasion of the Band's 21st anniversary.